Home» Products» Remington 1100 Shotgun 16 ga 6 Barrel Gas Seals Parts O-rings LOWEST PRICE!!!!!! Remington 1100 Shotgun 16 ga 6 Barrel Gas Seals Parts O-rings LOWEST PRICE!!!!!! 6 new aftermarket Black or Brown Viton Gas O-rings for the Remington 1187 and 1100 12 gauge. 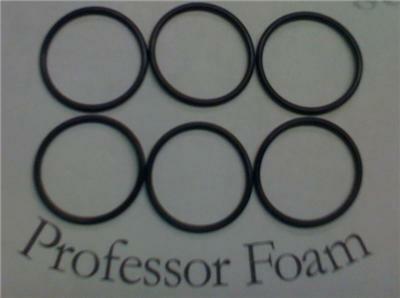 You will receive 6-12 gauge O-rings for $3.98!! $2.00 for Parcel Post with tracking!